“We have known you for years and we appreciate your devotion to the Mother Church. 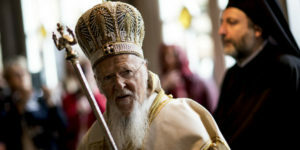 It needs the devotion and faithfulness of the ones who serve it, because it faces, especially these days, many problems and challenges and its privileges as the First Seated Church are being disputed and attacked passionately,” said His Holiness Patriarch Bartholomew in a recent speech welcoming the appointment of a new bishop. It was his first public statement after he returned to Istanbul, from his bittersweet, week-long tour in Greece during which the ongoing crisis between the Autocephalous Church of Greece and the Fener Greek Orthodox Patriarchate became even more apparent. It was the latest episode in a long and shaky history between the two churches going back to the 19th century and the creation of the new independent nation state of Greece after it broke away from the Ottoman Empire. 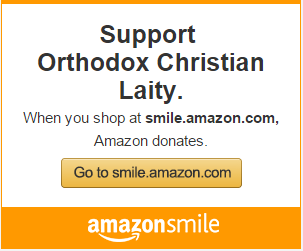 Soon, in 1850, the Orthodox Church included within the new borders was given its independence from the “Mother Church,” the Patriarchate in Istanbul in Fener, an ancient institution of the Byzantine Empire and later of the Ottomans. More churches in the Balkans followed, including Serbia, Romania, Albania and Bulgaria. But relations between the Greek Church and Fener were complicated. The latter retained its authority on the Monastic State of Mount Athos and on several regions in Crete and the Dodecanese Islands. This overlapping ecclesiastical authority over areas belonging to the new independent Greek state gave birth to a low-intensity tension between the two churches that lasts to date. They are the lands that were attached to the Greek state in 1929, after the Balkan wars, i.e. Epirus, Macedonia, Thrace and the Dodecanese. These 35 ecclesiastical regions were ceded by the Istanbul Patriarchate to the Church of Greece but Fener retained its right for spiritual and doctrinal guidance, which included a say in the appointments of the senior ecclesiastical hierarchy. The relations between the Ecumenical Patriarchate under Bartholomew II and the Greek Church have had many ups and downs where the issue of who has full control of the New Lands being one of the main reasons. In spite of its initial leftist rhetoric asking for a complete separation of Church from the State, the Syriza government has softened its tone and appears to have come to a compromise leaving the Church and its estate to their own devices. After all, the Greek Church played a useful social role, which helped the government during the worst days of economic crisis in Greece. According to Greek media, the Tsipras government intends to launch procedures for a new “more progressive” constitution very soon. Among the fields of proposed change will be the relationship between church and state. 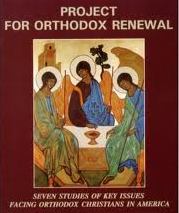 Greek sources claim the Greek government, unlike its original proclamations to break ties with the church, will recognize the historic role of the Greek Orthodox Church as a dominant doctrine, i.e. keeping the church as an ally rather than an opponent. Let us see what the next episode of this intriguing story will bring.